If you drag and drop Firefox to the Trash or simply delete it from Applications, specific supportive (service) files still remain on your hard drive. Usually, they mostly hide in caches, logs, plugins, containers and reports. Mostly in Library folder. With the help of this short article you’ll know how to uninstall FireFox manually or with the help of uninstaller application. Uninstall Firefox using App Cleaner. 2. After choose “everything”, and tick all checkboxes. 3. Right after you can delete Firefox from the Applications folder. Even though you do everything highlighted above, not all files related to Firefox will be deleted. 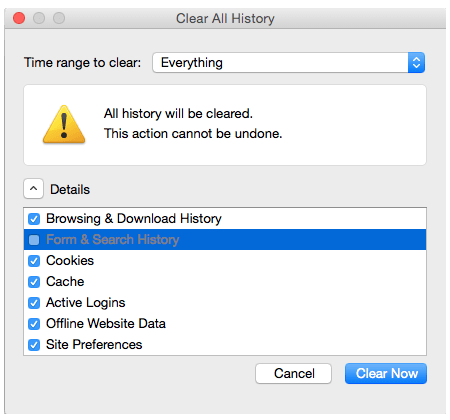 We tested it on several Macs: if you install Chrome and delete it immediately – 39 Mb of unneeded data would remain in Library. That’s why you should find and remove service files from the “Library” folder. 4. After you performed previous steps, go to the Library folder. You can use specific Terminal commands or use a free app Funter that shows all hidden files and folders on Mac hard drive. Find and remove all the folders and files related to Mozilla Firefox from the Library folder. Then just don’t forget to empty Trash to remove the Firefox file completely. If you want to completely uninstall Firefox, it’s much better to use a special uninstaller, which scans the entire system automatically and gives you an outlook of every app. One of such applications is App Cleaner & Uninstaller. All you need to do to uninstall Firefox using App Cleaner is to scan your apps → select Firefox and click to remove it. 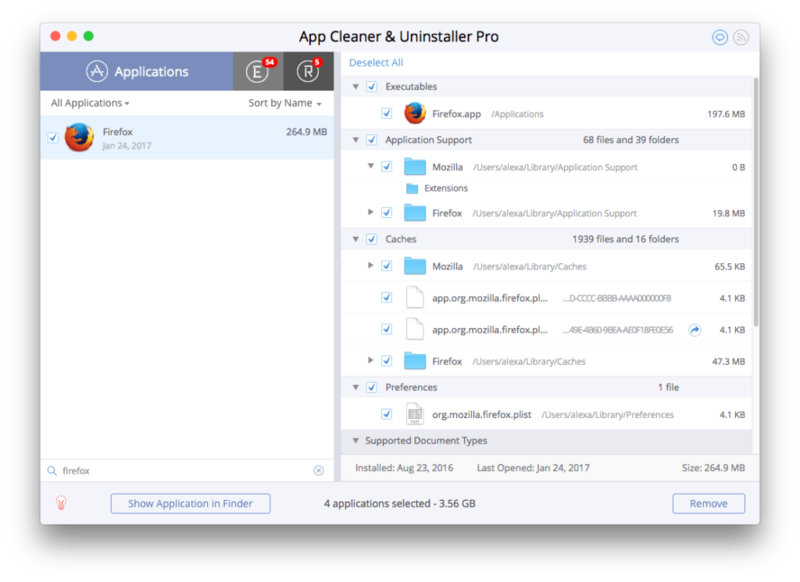 App Cleaner & Uninstaller will remove the browser completely, including all its service files. If you removed Mozilla in a regular way and would like to find the rest of the files, then you should switch to the “Remains” tab. 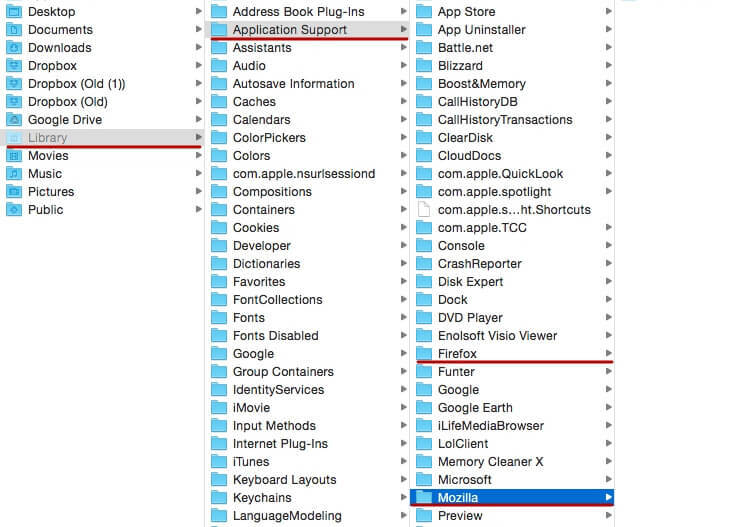 You will see all the leftovers and service files of already removed apps there.